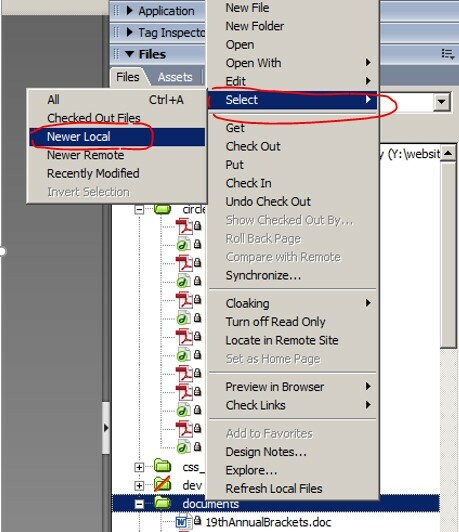 The files may be checked back into the server manually as you work or you may use the Dreamweaver Select tool to select the newer local files. The files, which you have copied to the server, will be highlighted. Check-in the files.